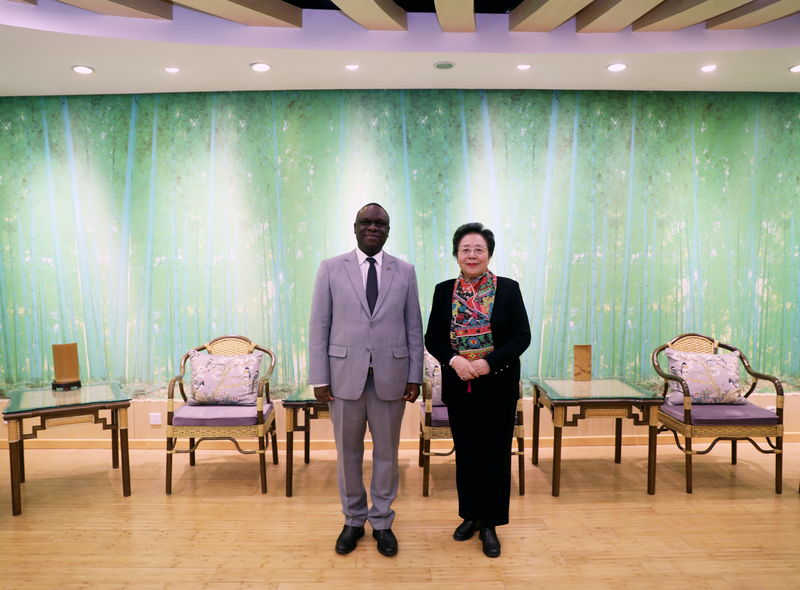 On Friday 8th March 2019 the Ambassador of Tanzania to China, The Honourable Mbelwa Kairuki, made an official visit to the Headquarters of the International Bamboo and Rattan Organisation in Beijing, China. Tanzania is a founding member of INBAR, and work in the region includes the ongoing Dutch-Sino East Africa Bamboo Development Programme, a highly impactful project supported by the Dutch government. There are about 120,000 hectares of bamboo in Tanzania, most of which is natural bamboo forest. This already long and prosperous relationship was strengthened by the visit from Hon. 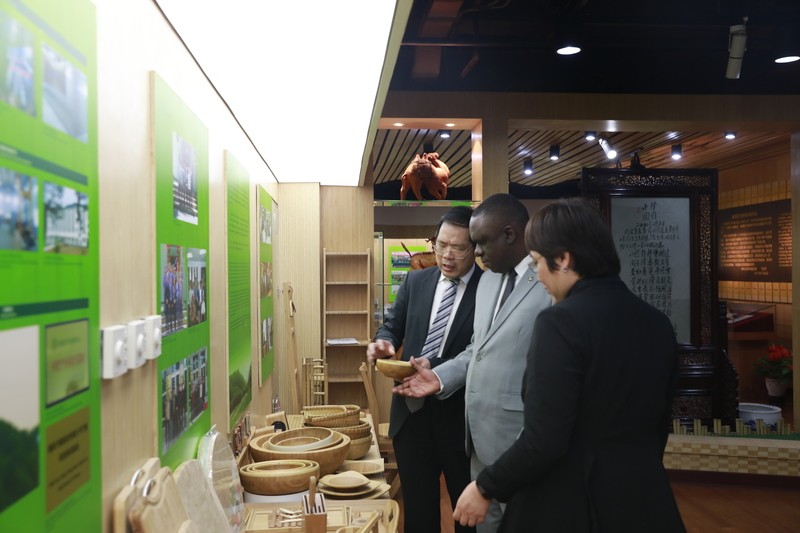 Mbelwa Kairuki, who was taken on a tour of the International Center for Bamboo and Rattan’s research laboratories and the bamboo and rattan exhibition hall by INBAR Deputy Director Lu Wenming and Director of Capacity building Jin Wei. 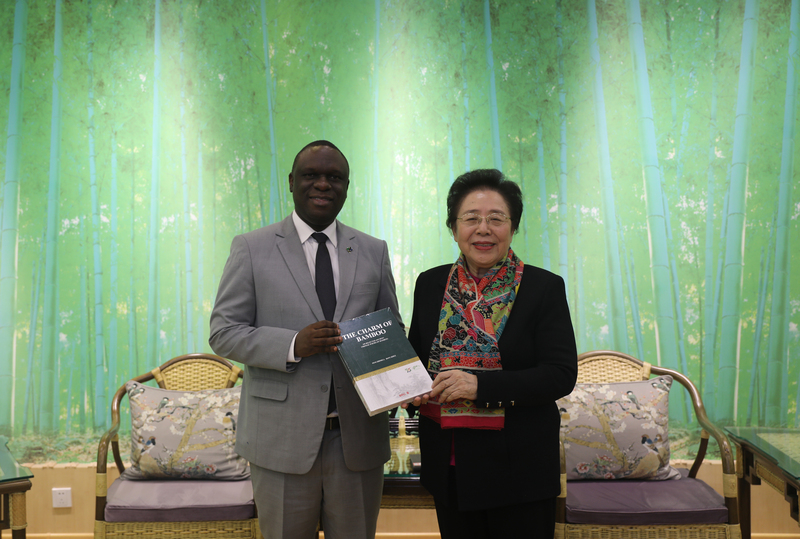 Then, Ambassador Kairuki held talks with Madame Jiang Zehui, the Co-Chair of INBAR’s Board of Trustees, to discuss Tanzania’s bamboo resources and INBAR’s relationship with the country. 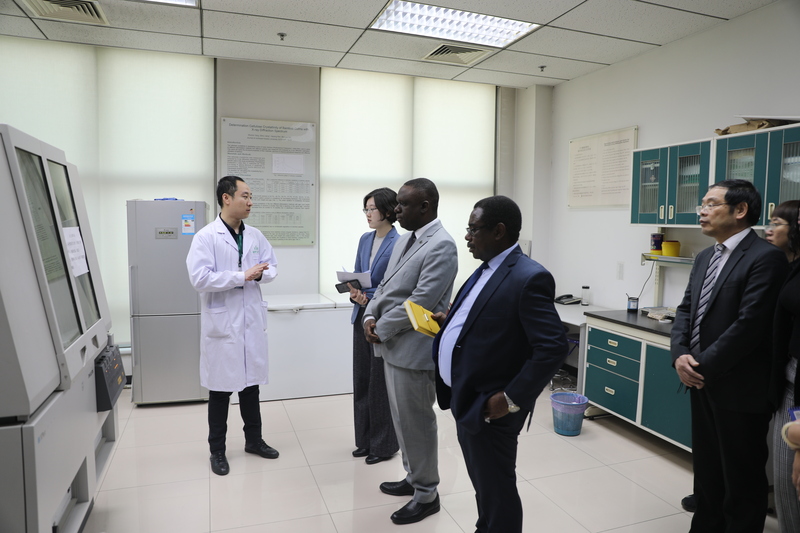 Deputy Director of INBAR, Professor Lu Wenmin (left) gave Ambassador Kairuki a tour of the International Center for Bamboo and Rattan’s research laboratories. This visit marks the second visit from an Ambassador in 2019 alone – in January, the Ambassador of Panama visited INBAR HQ. With these visits, INBAR hopes to strengthen its standing in the international community and better serve the needs of its 44 member states. 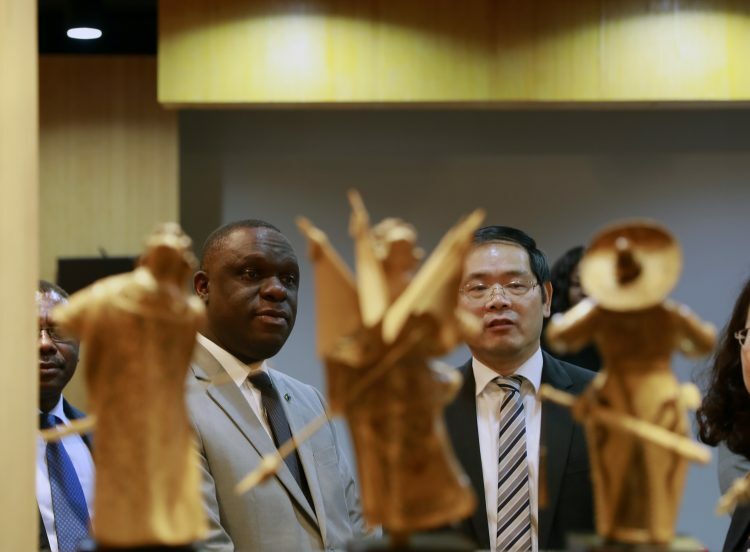 INBAR staff were honoured to host Ambassador Kairuki and are committed to supporting Tanzania’s growing bamboo and rattan industries and bamboo- and rattan-based environmental initiatives.